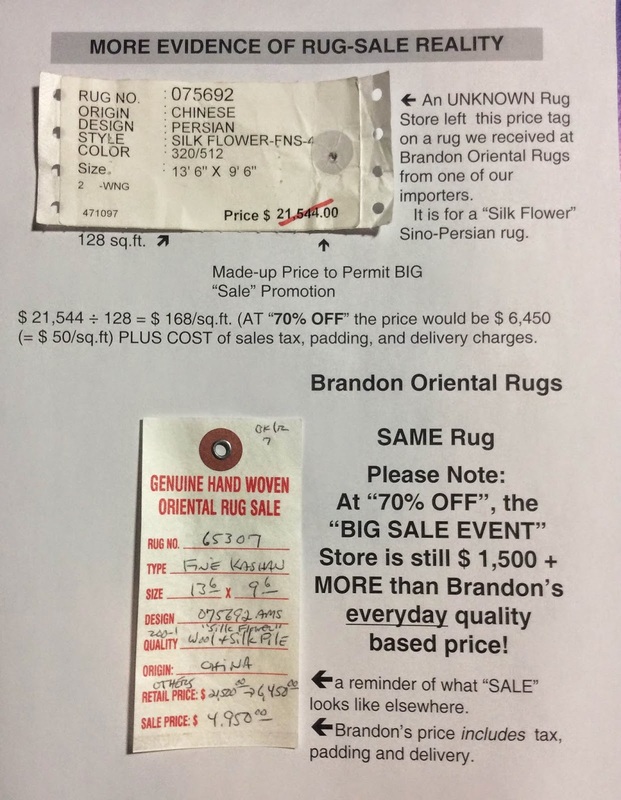 "Rug Sale" Reality featuring evidence from a popular rug "sale" host. 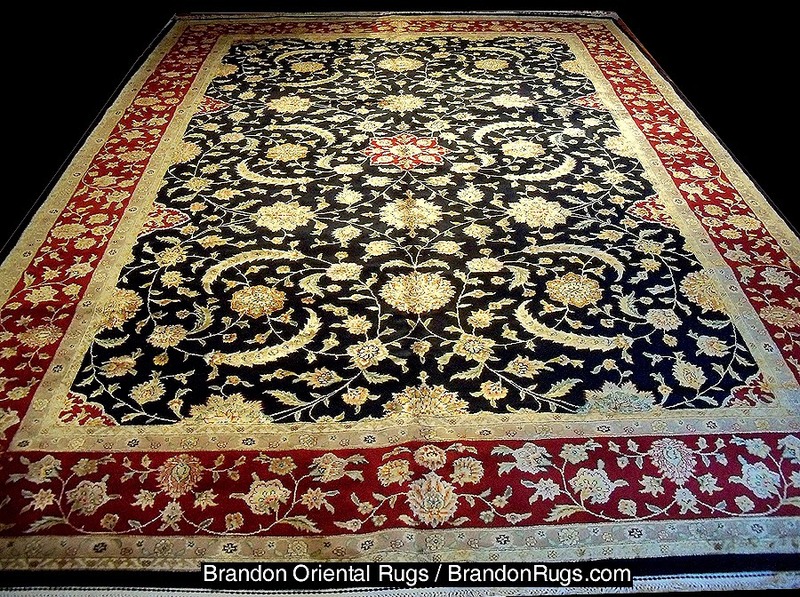 BrandonRugs.com_Rug #65307_Hand-knotted 200-line Sino-Persian "Silk Flower"
The "sale season" is always a GREAT time to consider what is REAL. 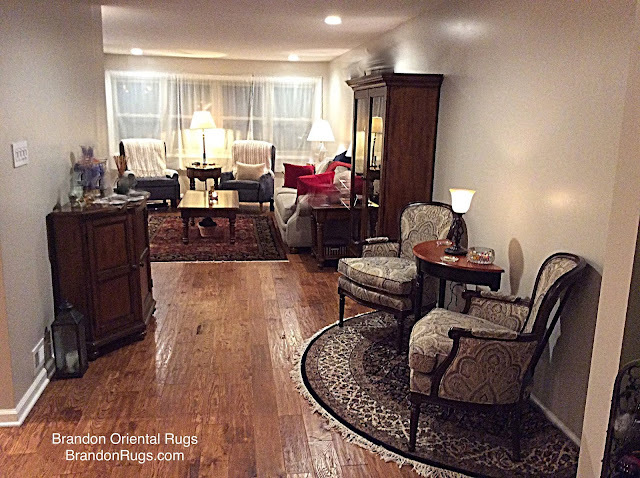 If quality is important in your purchase decisions, you are going to want REAL oriental rugs. Likewise, you deserve honest offers with real prices on the rugs you'll be considering (not some phony markup price to offer you an equally phony discount.) 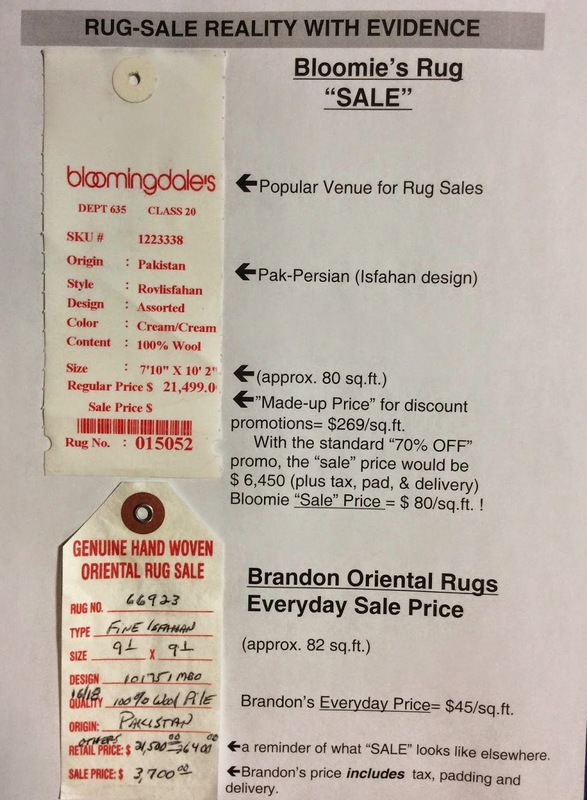 Afterall, if the price on the tag isn't true (and was never meant to be true) what else can you really trust about the rug you want to buy, or the company trying to sell it to you? Your buying strategy need not be holding out for "70% OFF" when the next SALE rolls around. Instead, discover and learn about what quality or style of rug you like. Then pursue finding the best value (in reality) that is being offered to you for that kind of rug. This goes for antique and one-of-a-kind rugs too. Though their uniqueness places them in a class that brings intangibles to their pricing, you can with a little research find information on comparable examples, and establish a sense of price to make you comfortable about the value of the specific rug you are considering. 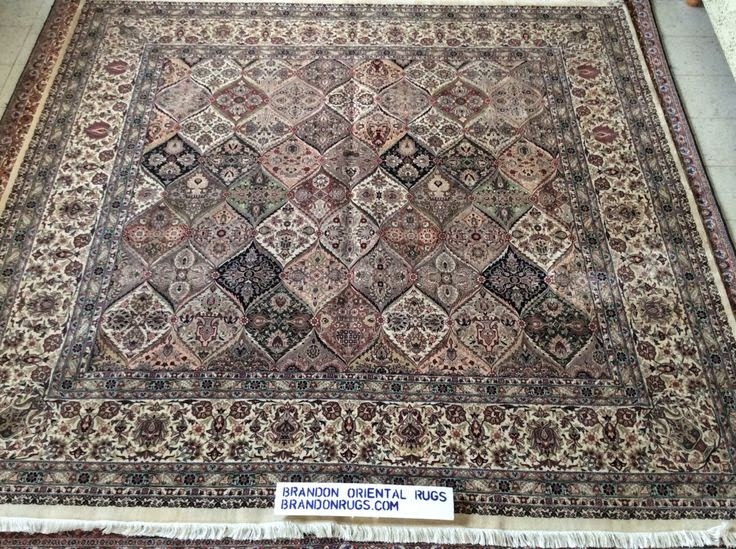 For over twenty-five years at their one and only location, Brandon Oriental Rugs has consistently offered the best values available based on QUALITY. Plus, Brandon's pricing beats the super discounted "SALE" prices offered by other sources. Not once in all that time has the company ever resorted to phony discount price offers to lure shoppers. 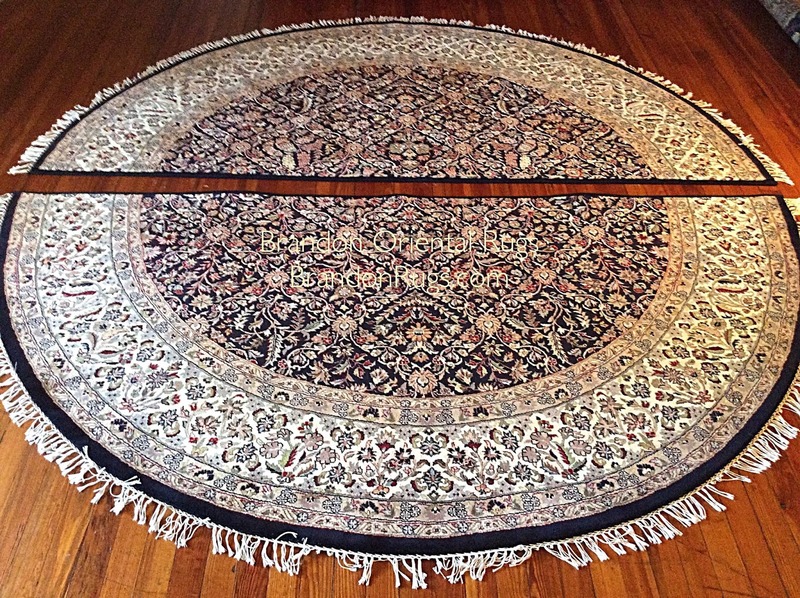 If you have a hand-knotted rug in good condition that you want to offer for consignment sale, please contact us. We do not accept in-store consignments, but do maintain a data base of used/old rugs to help customers who are trying to sell their rugs. 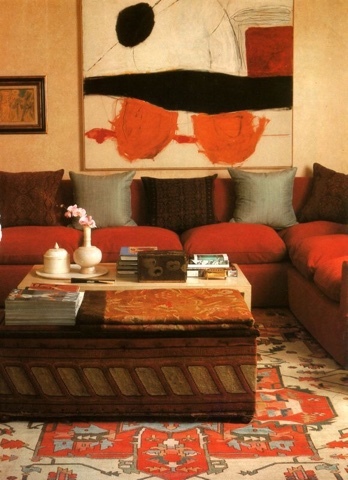 A collection of artworks and books, a lovely flower, comfortable furniture and an oriental rug. Refined taste brought them together; harmonized beautifully. Visionary customers challenged Brandon Oriental Rugs to divide a round handmade oriental rug found in the store into two "custom" semicircular rugs for use in two separate areas of their newly renovated Bucks County home. Brandon can almost always find rugs that most appropriately satisfy the requests and needs of our customers. Thanks to a challenge offered by customers, we found that we can also produce such rugs to good effect at reasonable cost in compressed time-frames. which one of the "half-round" rugs is desired. one of the "half-round" rugs is has been installed by Brandon. in which one of the "half-round" rugs is has been installed by Brandon. which the second, "identical twin" half-round rug is desired. 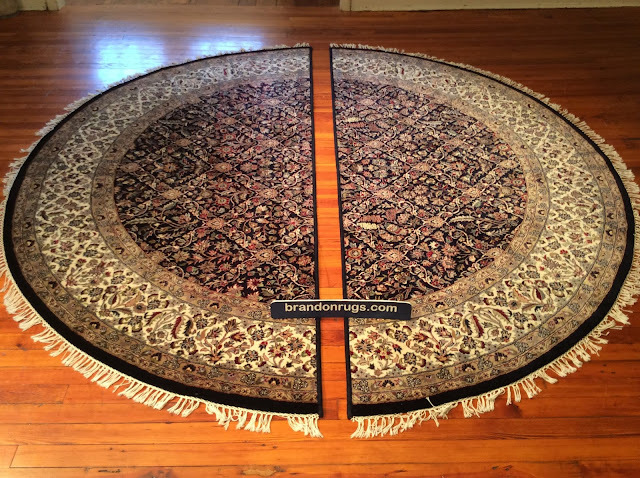 the "identical twin" half-round rug has been installed by Brandon. for having confidence in Brandon to make it happen.